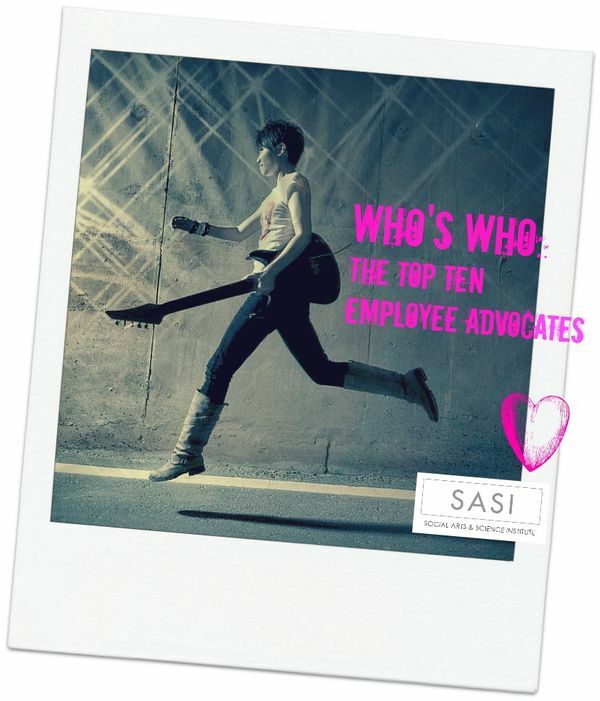 Today we are celebrating the Who’s Who list of The Top Ten Employee Advocates Rock Stars Edition from Social Arts & Science Institute (SASI). Employee Advocates are a special breed of employees that care about the future success of their company, are passionate about customer relationships, take action beyond their defined job descriptions and are willing to forge new relationships online on behalf of their company. Employee Advocates are different as they make their engagements visible, defend their employers from criticism and act as active advocates, online and off. Some of these recipients below are part of larger company initiatives while others have organically shown up out of self-motivation, passion and determination. We strongly believe that Employee Advocacy is central to company success and is the underlying foundation for high-performing companies. We are excited to celebrate this top ten list, in alphabetical order. “Colleen is a huge employee advocacy advocate from IBM's Corporate team. Her team was responsible for bringing Dynamic Signal into IBM. Since then, she's been leading the charge across IBM to launch new employee advocacy programs based on the success from the initial IBM Social Business pilot. Colleen has also implemented an all employee social sharing hub to highlight some of IBM's biggest events and campaigns." "Greg regularly posts shared and original content on Facebook, Instagram and Twitter, and he’s reached out to our team on multiple occasions with feedback and a desire to help the program succeed. From an email he sent us: 'I have loved being a part of this program. It has majorly reinvigorated my passion for food, and the enjoyment of coming to work, and sharing the joy of food with others!'" Please celebrate this Who’s Who list, along with all the employee advocates at your company, for the incredible work, passion, excitement and connections that they bring.